Recently renovated fully furnished 5 room 3 double upper house of approx. 140m2 with 3 bedrooms, 2 bathrooms and big terrace. 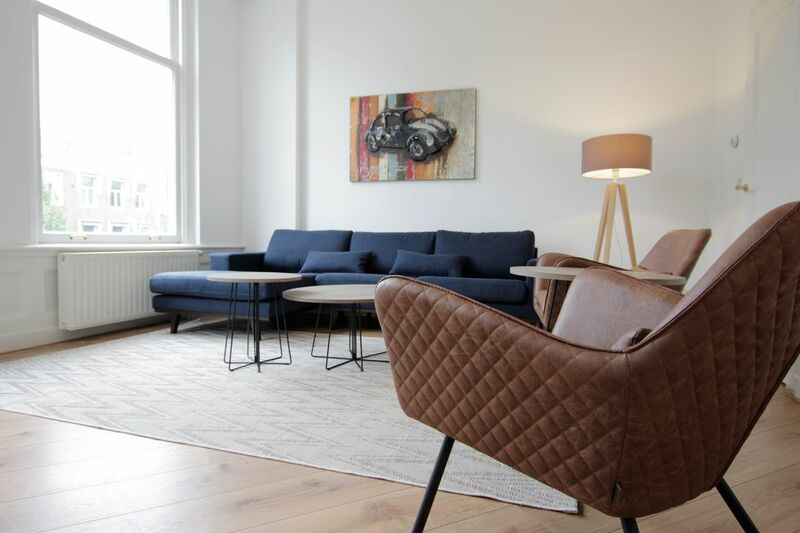 Located on one of the nicest locations in The Hague (‘Buurtschap 2005 in 2005’) in the immediate vicinity of the ‘’Lange Voorhout’’, Central Station, shops and restaurants. Overlooking the canal, close to public transport. Private entrance, staircase to the 1st floor: adjoining living and dining rooms with leaded glass doors, new modern kitchen with appliances, stairs to 2nd floor: bedroom with bathroom with bath, separate shower and sink, 2nd bedroom with modern new bathroom with shower, separate toilet in the hall, study / guest room and spacious terrace, stairs to 3rd floor: big attic over the whole length of the house with shower.